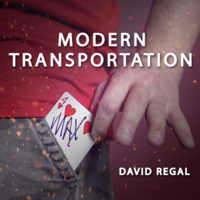 Today, when you order "Modern Transportation by David Regal", you'll instantly be emailed a Penguin Magic gift certificate. You can spend it on anything you like at Penguin, just like cash. Just complete your order as normal, and within seconds you'll get an email with your gift certificate. 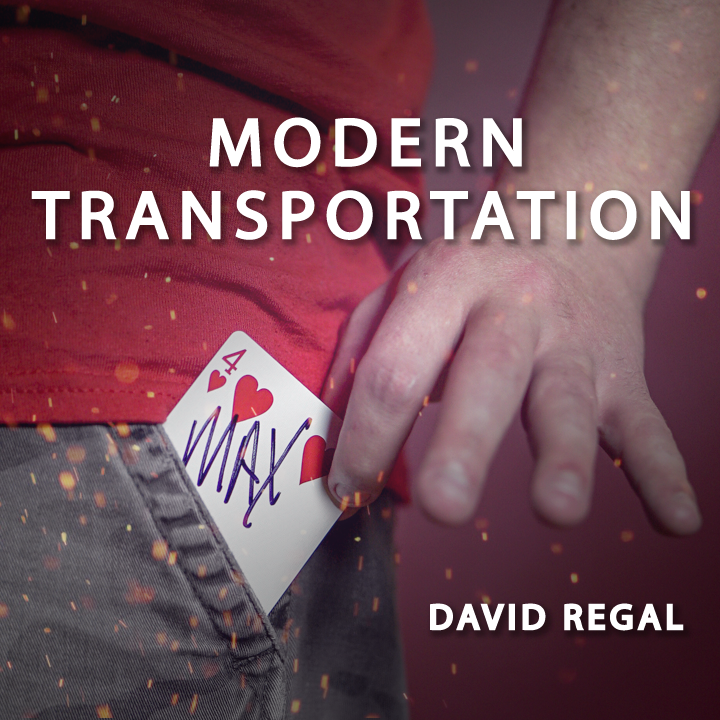 Modern Transportation by David Regal (Instant Download) The trick David Regal has performed hundreds of times at the Magic Castle. Maybe more than any other trick he knows! START LEARNING INSTANTLY. This trick is a good example of one of the reasons I am interested in magic. It's out of the (card) box thinking that gets me hooked. 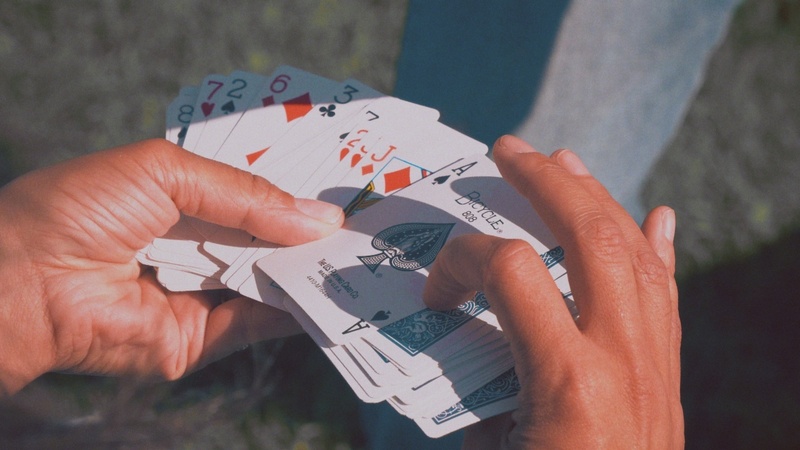 A trick doesn't have to have a fancy gimmick or require some super intricate finger twisting move to get the job done. Modern Transportation IMPLIES that you must be extremely versatile in your sleight of hand work even though there really isn't any at all. In fact, this trick is pretty much self-working if you've set it up correctly. 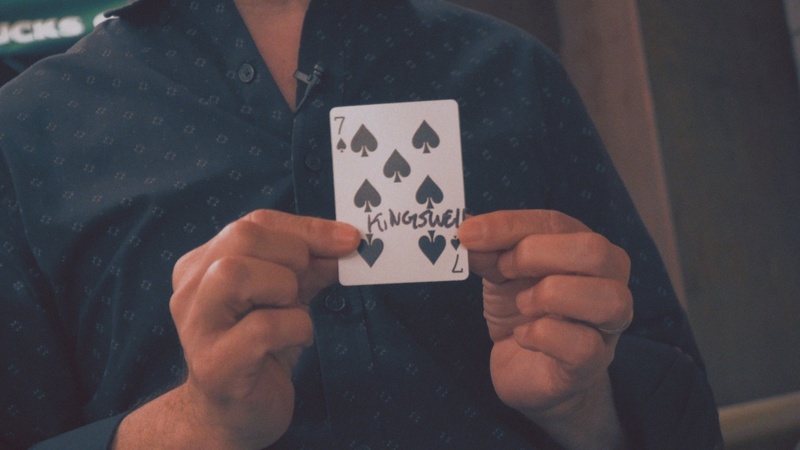 If you've been a magician for a long time and already think outside of the (card) box, this trick probably works exactly the way you thought it would. For me, it was a fooler. But now that I know this trick, i feel another step closer to considering myself to be a real magician. If you think you know how to do this, this may or may not be a good buy for you. David doesn't go really beyond the actual trick itself, so it's not like you're buying your 10th TnR just for the few extra tips you might glean off the end of the explanation on the bonus tips area. However, if this tick blows your mind, then get it. The simplicity of this solution will also blow your mind. This trick is simple, it's clean, it looks good. There is nothing suspicious (though I will say that David's tongue-in-cheek presentation of feeling electricity course through linked hands seemed a goofy to me). This trick is super easy. I love this trick and I will be performing it without a doubt. Get this trick. 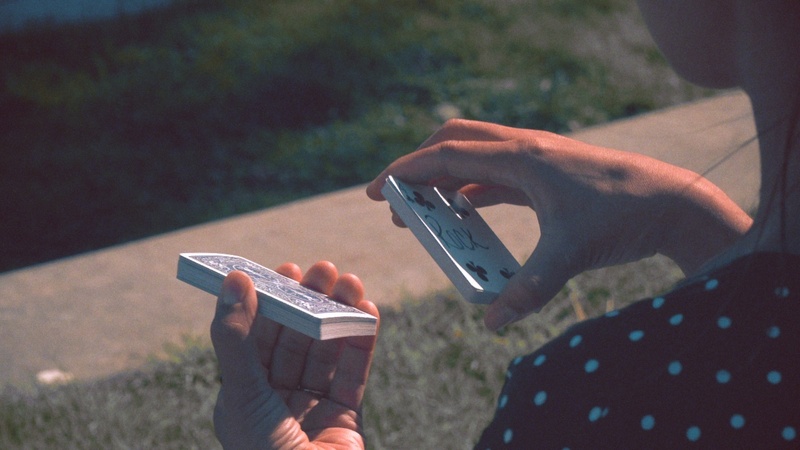 As this trick shows, when it comes to magic, sometimes simple is better! 4.5 stars. (I generally save 5 stars for extremely visual Salvador Dali mind-melting type of magic... four stars is usually a "perfect" score for me togove to card tricks and cool tricks that aren't visual. So the extra half star should express how much I really like this trick.) Great job, David! This effect is very sneaky, very clean and amazing. The sneaky thing you add, you will probably already have around the house, if not, just another trip to the Dollar Store. It’s highly interactive presentation gets more than one of your spectators involved … really nice. 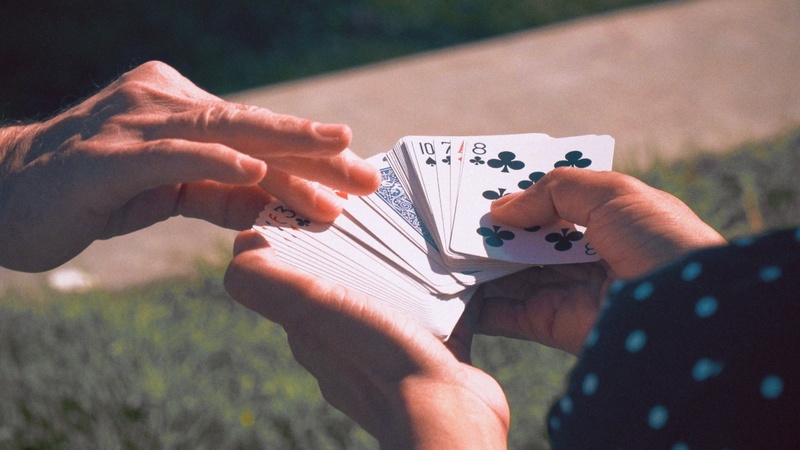 There are no difficult moves to learn, no sleights, you just handle the deck very casually and hand it out to your spectator. Now the deck is in their hands for the rest of the trick, they cut the deck, fan the deck, touch the cards, all the work is already done. 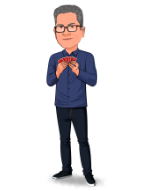 After the card transposition is shown, they are still holding the deck, they can check out the deck all they want, there is nothing there to find other than the card they saw go into your pocket. 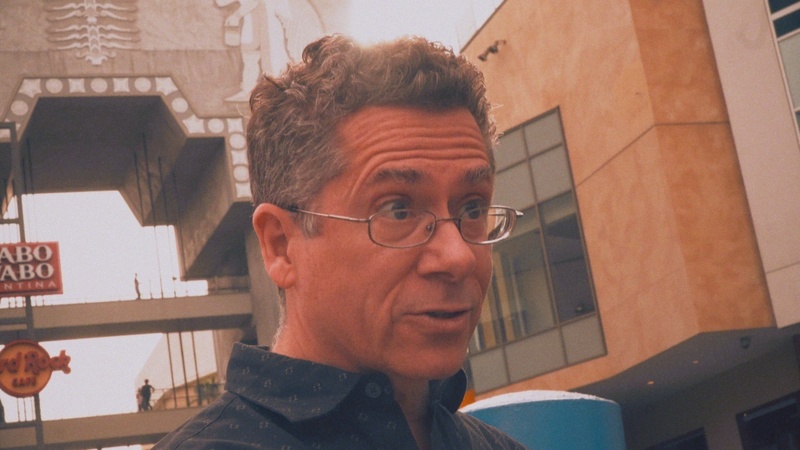 David is sharing with you one of his favorite tricks that you can add to your arsenal. Once you learn the trick, you will kick yourself on how simple this is, you will be performing this very soon with little practice. Leave your spectator with the signed card as a souvenir of one of the most amazing things they will have seen and ‘experienced’. This can be done close-up, strolling, parlor over even on stage. Don’t worry about bad angles, there are none. Get this, you can’t go wrong, this is a 5++++ star. Love it! No need for overkill here - as David Regal presents a quick 11-minutes going over 'Modern Transportation' in the instructional vid. But that is more than enough time, because this one - while perhaps not a deep fooler for those in the know - will CERTAINLY baffle the average lay audience. This is one of those routines that appears to be done solely in the specator's hand, and that only makes the double payoff that much more fun. You should be able to do this very, very quickly after watching Regal's doc vid. What a great trick, really like it because it's so simple. LOVE LOVE LOVE the fact the video is ten minutes long and to the point. You'll be able to do this trick within seconds of seeing the video. Yep, get it. 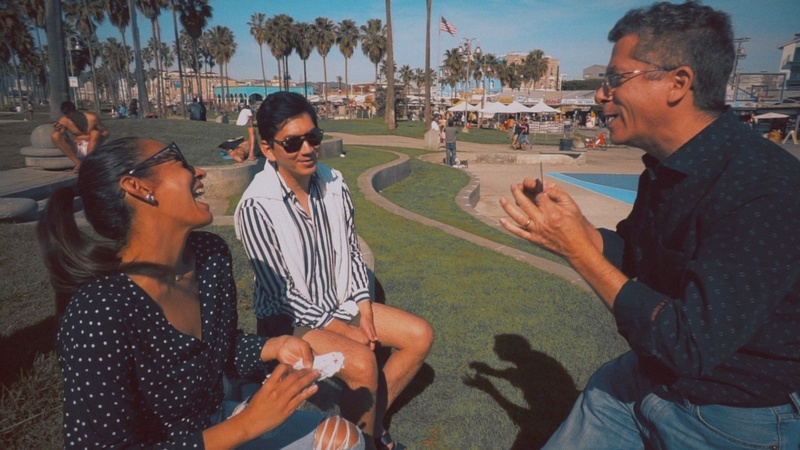 The creator of the Clarity Box and The Linking Finger Ring Project, among a host of other effects and collaborations, David Regal is a modern master of magic and a fantastic teacher, by the way. This effect is SO STRONG! I’ve been looking for a new transposition method and Modern Transportaion is it! I love effects that can be adapted to fit many styles of presentation. I’ll be presenting this as a Mandela Effect or possibly a demonstration of quantum mechanics. I love to perform tricks with a pseudoscience twist. Modern Transportation is super clean-looking in performance and it truly ends TOTALLY CLEAN! The secret is super-sneaky and perfect for a beginner as well as a pro. After all, David himself performs this at the Magic Castle. Again I say, there are no funny or difficult moves. It just looks like a super fair, totally unexplainable, completely impossible transposition of two cards. have spent thousands on magic... MANY being dissappointed after being "mislead" by description. But could NOT not leave review on this. After seeing price...... thought this a typical "cheap" trick ..... why bother. But something told me to GO FOR IT. I typically hate card magic.... mostly for personal reasons....... but LOVE Shin Lynn..... totally the new age Houdini with cards. So... against my judgement.... got this trick not expecting much. WOW...... was I WRONG. Love this method....and even with the one SMALL GLITCH with reveal..... feel this will definately be one CARD trick I use. Trust me when I say..... DEFINATELY worth time and money.... will go long way in helping any magic act. Nuce job with teaching video. Straight to the point...... if I could....5 would be my LOWEST rating for this. This is a really trick. You could probably do it with 5 minutes of practice. However, that being said this is among the strongest tricks you can do. This trick is easier enough for beginners but strong enough for working professionals. 1- This trick is not impromptu, but the set up will take you under a minute, however, that minute will have to be done in advance. 2- Reset is mere seconds and you could probably even do it between tables as you do walk around. 3- You start dirty but you end completely clean. Unless you are pretty advanced expect this to have to be your first card trick with this deck. 4- This has the potential to be so much more than a card trick. This is a transposition from something in your spectator's pocket with something in your pocket. 5- You will be upset at yourself that you didn't think of this trick. 6- You will love this trick. Too EASY and a 10/10 fooler! Finally I get to review David Regal! He's been reviewing for Genii and others for years. If you don't know his work research him on Penguin and just BUY anything he makes! David GETS holw to FOOL people with the simplest and most devious methods. In this trick you get a huge bang and a simple no sleight solution. Can be done any time and even with a borrowed deck. Just keep the something extra in your wallet in a few standard backs. But without the borrow - this is dynomite! You'll use it every single day! Most highly recommended worker! I'm a big David Regal fan. This trick has made me a bigger one. I do quite a few effects using the same material as he uses to perform this trick, so I have plenty on hand. I made and performed it for my wife in about 5 minutes. She knows it's a trick, but she's completely baffled. I'm amazed that something this simple can be completely astounding. I can't think of a venue where this wouldn't be effective. I love it.